Global warming wordt veroorzaakt door de zon!! Anton Teuben - Universal News - Schumann Resonantie » Nieuws » Global warming wordt veroorzaakt door de zon!! « Heeft u ook last van vage klachten? Nu in Parijs er weer miljoenen worden uitgegeven en de mensen de schuld krijgen van “global warming” en de klimaatproblemen door o.a. chemtrails, is dit het ware verhaal van duizenden wetenschappers wat we volledig onderschrijven en vooral nu onder de aandacht van zoveel mogelijk mensen willen brengen. We hopen dat u de onderstaande informatie zoveel mogelijk wilt verspreiden, zeker naar onze plaatselijke, provinciale en landelijke vertegenwoordigers in de politiek, media, religie, wetenschap, enz. enz. Uiteraard alleen als u hiermee instemt. Every year the planet Earth follows a pattern of seasons, spring, summer, fall and winter. According to NOAA, seasons are produced due to the planets axial tilt and portions of the planet moving closer and others further away from the Sun. This alone shows the power our Sun has to drastically impact on our ecosystem, weather and temperature. There are a few absolutes we all should be able to agree on. * First, without the Sun the earth would be a very cold planet. * Second, if the Sun expanded or our planet was forced closer to the star, the earth would subsequently be much warmer. 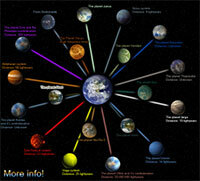 So undoubtedly the Sun is the most influential contributor to our planets climate. “It was well understood by ancient man that our weather was caused and controlled by the Sun. It was a simple fact that God’s Sun had the power to control storms at will. The ancient Egyptians taught that He did this as He rested in His heavenly boat while crossing the sky. Thus, we read that God’s Sun quieted the tempest, or great storm on the sea, while in His boat. [Which boat? The boat of Isis.] Ra, the sun god, [also known as Osiris,] in the Barque of Millions of Years in which he transversed the heavens. He wears on his head, and accompanies, a vast sundisk symbolizing his powers as lord of the heavens. 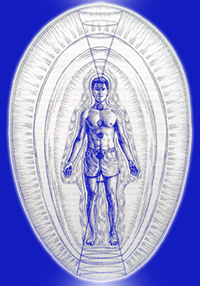 The boat, formed of a serpent, bears his Eye; and the god is seated on a pedestal representing Mayet, the divine order. When we stop to realize that every single king, prince, lord, governor, dictator, despotic ruler, civil and social institution, national flag, coat of arms, educational institution, military medal, award, organizational insignia, medallion,badge, emblem, citation, trophy, banner, pendant, political standard or ensign, agency of government or religion, uses the Sun as a primary symbol, then it can truly be said [in the Mystery School] that God’s Sun is “King of Kings, and Lord of Lords.”, as documented by Jordan Maxwell in his book, “That Old Time Religion”. So how do we go from these obvious facts to credible organizations saying that humans are the major contributor to global warming such as the Union of Concerned Scientists, EPA, politicians and others? Carbon dioxide, as sold by Al Gore. Carbon dioxide (CO2) is the primary greenhouse gas emitted through human activities. In 2012, CO2accounted for about 82% of all U.S. greenhouse gas emissions from human activities. Carbon dioxide is naturally present in the atmosphere as part of the Earth’s carbon cycle (the natural circulation of carbon among the atmosphere, oceans, soil, plants, and animals). Human activities are altering the carbon cycle—both by adding more CO2 to the atmosphere and by influencing the ability of natural sinks, like forests, to remove CO2 from the atmosphere. While CO2 emissions come from a variety of natural sources, human-related emissions are responsible for the increase that has occurred in the atmosphere since the industrial revolution. The main human activity that emits CO2 is the combustion of fossil fuels (coal, natural gas, and oil) for energy and transportation, although certain industrial processes and land-use changes also emit CO2. 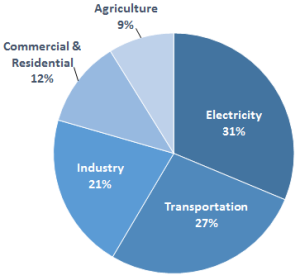 The main sources of CO2 emissions in the United States are described as electricity, transportation and industry. Although this is what is taught in schools, it is all fraudulent. Although the amount of Co2 may increase, it is not a key contributor in global warming. The flux in and out of the ocean is larger than the flux in and out of the land. 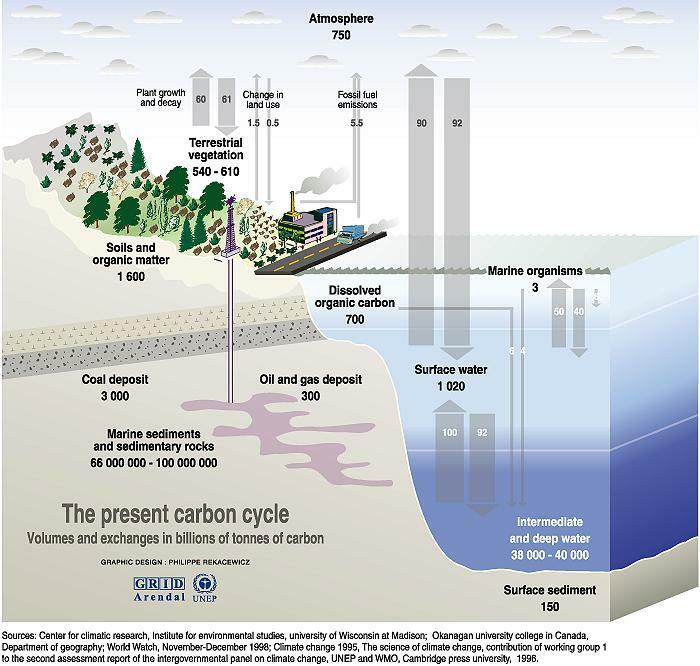 Based on this study we can see that the ocean contains an incredible amount of CO2. 71% of the Earth is covered with ocean water containing 50 times the amount of CO2 produced by fossil fuels. When the Earth is closer to the Sun, heat causes the oceans to evaporate and raise CO2 levels. Proving man is not the key contributor of global warming. The behaviors of the Sun will dictate our planets temperature including, sun flairs, dormant periods and other peculiar occurrences. Plants require CO2 to make oxygen and I would believe that the dwindling oxygen levels and weather modification programs are a bigger risk on humanity and our ecosystem than man made global warming. Yes it is bad for the environment. These are legitimate concerns. However, CO2 is not the key contributor to global warming as government funded scientists claim. Uiteraard hebben chemtrails ook invloed op de situatie met het klimaat op aarde. Rosalind Peterson (who you will see in the video) is the the President and Co-Founder of the Agriculture Defence Coalition (ADC). It was formed in 2006 to protect agriculture from a wide variety of experimental weather and atmospheric testing programs, in other words, geoengineering. She formally worked for the United States Department of Agriculture (USDA), with the Farm Service Agency dealing with agricultural crop loss. Prior to that, she was an agriculture technologist for the Mendocino County Department. Laten we ons realiseren dat de Zon ons de energie/spirit stuurt, deze levens- en liefdesenergie wordt opgevangen bij onze polen en vanuit het midden van de aarde via de kristallen in de aarde en leylijnen de oppervlakte en ons bereikt en resoneert tot 66 km hoogte (ionosfeer)waardoor leven op aarde mogelijk is. Deze trilling wordt wetenschappelijk verklaard met de term Schumann Resonantie en het is van het grootste belang dat de basiskennis over de verdubbeling van onze levensenergie waar we allemaal van kunnen profiteren publiekelijk wordt gemaakt. Vrijwel alle problemen kunnen verder worden opgelost door natuurzuivere vrije technieken toe te passen waar o.a. Paul Hellyer over spreekt en o.a. door Dr. Keshe worden vrijgegeven. 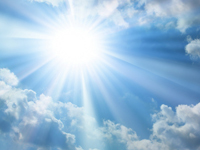 2 reacties op Global warming wordt veroorzaakt door de zon!! Lulverhaal. Mot ik nog rekenen ook om een reactie op onzin te geven. Ken ik me hersenen weer trainen. Creatief knippen en plakken zeker? Weer een heerlijk onzin verhaal! Waar haal je de artikelen steeds vandaan? Er komt nog steeds geen hol op deze website. Check de cijfers op Alexa. Ik zou mezelf afvragen waarom dat zo is. Omdat je al tien jaar dezelfde onzin uitkraamt Teuben! Jij denkt de wijsheid in pacht te hebben en alles te weten alleen je hebt het mis! De wereld is niet zoals die is (alleen dat heb je goed gezien) alleen “jouw” theorieën kloppen van geen kant! Jouw tussen haakjes omdat het allemaal gekopieerde zooi van anderen is. Dat maakt je dus geen klokkenluider, Anton! Klokkenluiders bedenken zelf iets en het ontbreekt jou aan creativiteit.. Heerlijk om te zien overigens want het is erg erg lachwekkend!